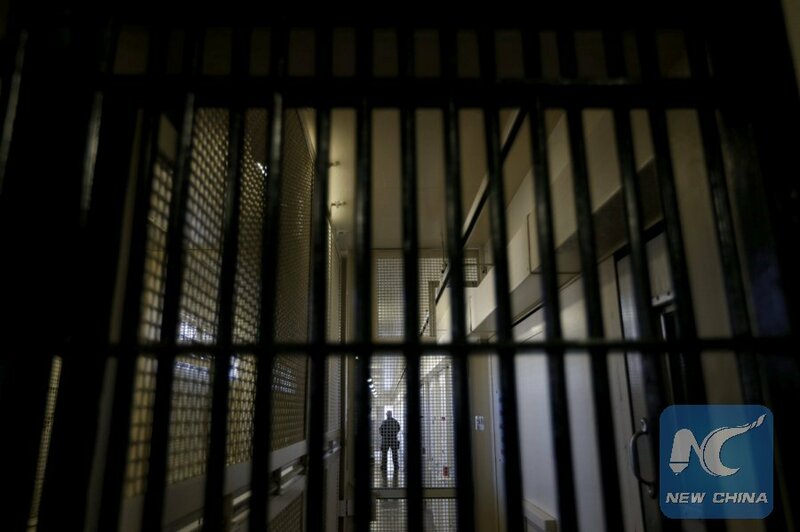 WASHINGTON, April 16 (Xinhua) -- Seven inmates were killed and at least 17 others sustained serious injuries in a prison riot in the southeastern U.S. state of South Carolina, authorities said Monday. Clashes among inmates at Lee Correctional Institution in Bishopville took place at about 7:15 p.m. local time (2315 GMT) on Sunday and order was completely restored at about 3 a.m. Monday (0700 GMT Monday), the South Carolina Department of Corrections (SCDC) said in a statement on its Facebook page. "All SCDC staff and responding law enforcement officers are safe and accounted for," the statement said. The riot "involved multiple inmate on inmate altercations in three housing units," the department said. The department's police service unit and the South Carolina Law Enforcement Division were investigating. The prison, which opened 25 years ago and currently holds about 1,700 prisoners, has experienced fatal violence among inmates before. In March, inmates held a guard hostage and took control of part of a dorm for about 90 minutes. The guard was released uninjured afterwards, according to local media reports. In February, one inmate fatally stabbed another in the prison. The prison is about 80 km east of the state's capital city of Columbia.